Every delay effect has its cause. That’s why we packed so many into one compact pedal. 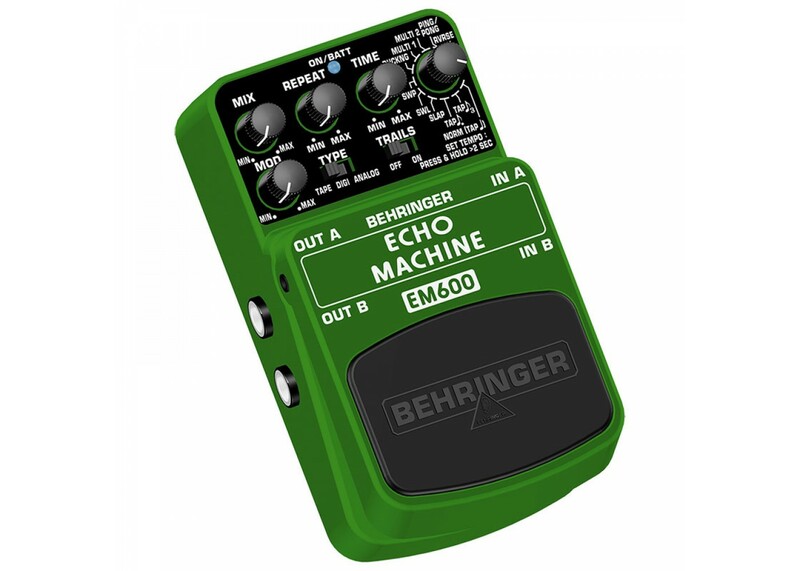 The EM600 puts the entire history of delay at your feet: Ducking, 2 Multiple Delays, Ping/Pong, Reverse, 3 Tap Tempo delays, Slap Echo, Swirl and Sweep. This rugged stomp box features dedicated Mix, Repeat Time and Mod rotary controls, Tape / Digital / Analog option switch and Trails On / Off switch, ensuring almost infinite options for getting creative with your sound. It even has Tap Tempo. But what really drives this pedal is the Real Sound Modeling (RSM) processor with state-of-the-art DSP technology that emulates real world acoustics. Even on a bright outdoor stage you’re bound to notice the ultra-bright blue power/battery status LED. The sturdy footswitch stands up to years of stomping while preserving signal integrity in bypass mode. Run on a 9 V battery or our BEHRINGER PSU-SB DC power supply. 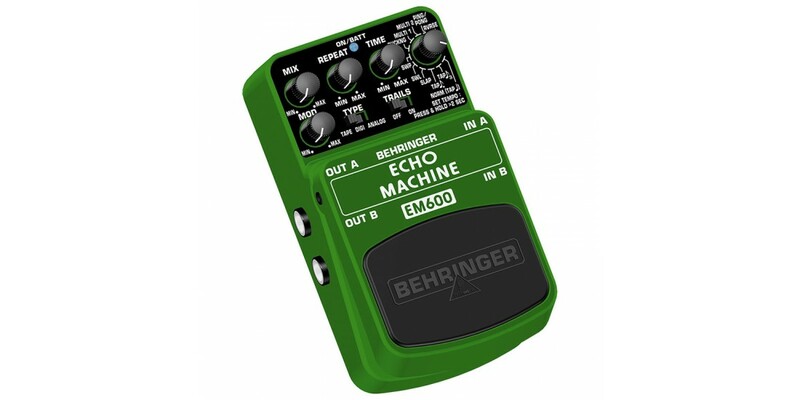 Recapture the glory days of each delay effect with the EM600 effects pedal!